Sri Lankan tea exporters received much needed encouragement and Ministerial level assurance to resolve their travails –and with the involvement of a broad range of stakeholders in future, on 19 January. At a special meeting with the exporters at EDB, State Minister of International Trade Sujeewa Senasinghe came forward to assist the tea exporters to resolve their pressing issues and to hold direct consultations with them on a regular basis. Interestingly, the idea of leveraging foreign made teas to strategically enhance Sri Lanka’s tea export goals and sustain its tea hub reputation came under in-depth discussion -with upbeat responses from exporters. Among the firms joining the 19 January discussion were Akbar Bros, George Steuart Teas Pvt Ltd, Jafferjee Bros Exports Ltd, and Imperial Tea. The exporters stressed that Sri Lanka produces approximately 340 metric tons of tea but they faced many obstacles in the export of domestically produced volumes in a smooth manner and said that with domestic volumes alone, it would be difficult to achieve $3 Bn tea exports by 2020. 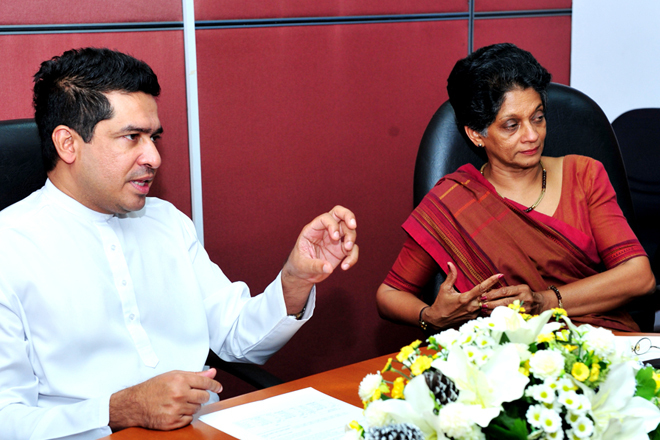 As a result, an in-depth discussion ensued between Minister Senasinghe and the exporters on importing foreign made teas and moving them to bonded warehouses, significantly adding value to them thereat, and re-export them garnering bigger foreign exchange while upholding Ceylon Tea hub reputation at the same time. Of the 340 MT produced, 60% are low grown, 22% high growns while 18% medium grown. Lankan tea exporters also highlighted market issues they are saddled with such as heavy tariffs imposed at certain global markets as well as various non-tariff barriers in some other markets. They also highlighted the obstacles in Russian and Iranian segments-specially the pressurised and volatile environment they face in them. “As a result of this meeting I have a better understanding of your issues including inward remittance problems. I shall represent these issues to the Central Bank and work with the CB for a set of policy measures so that you would be able to receive the remittances unhindered” announced Minister Senasinghe on 19 January meeting the tea exporters. 40 countries import Ceylon Tea directly from Sri Lanka. Russia, Turkey, Iran and Iraq were the top four Ceylon Tea buyers in 2014. Total tea exports that was at $ 1.3 Bn in 2012 increased to $1.5 Bn in 2013 and then to $1.6 Bn by 2014. “I shall take up your issues as soon as you inform them to me. In addition to the Central Bank I shall also link with the agencies-the Trasury, the Tea Board and even the Foreign Ministry. We are keen to integrate your suggestions when we create policies. From now on, I will meet you every once in two months to review your issues. The directive of Hon Prime Minister Ranil Wickremesinghe is to make our exports a key strategy in economic reforms” added Minister Senasinghe. 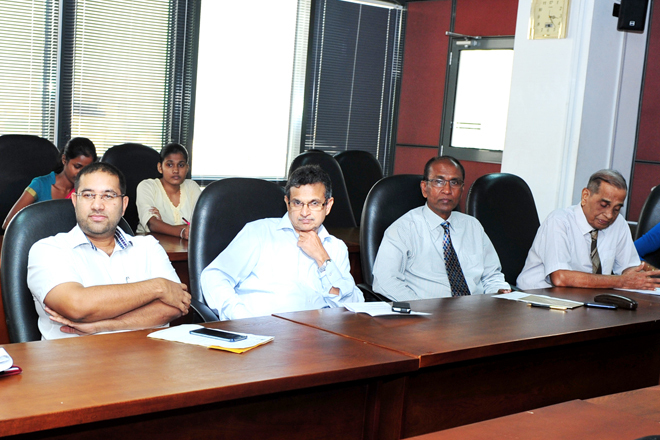 EDB Chairperson & CEO Indira Malwatte, addressing the exporters said that EDB is ready to help the exporters any time. “We strongly encourage you to export value added Ceylon Tea, rather than in bulk form. Value addition is a great way to increase your earnings” she said.